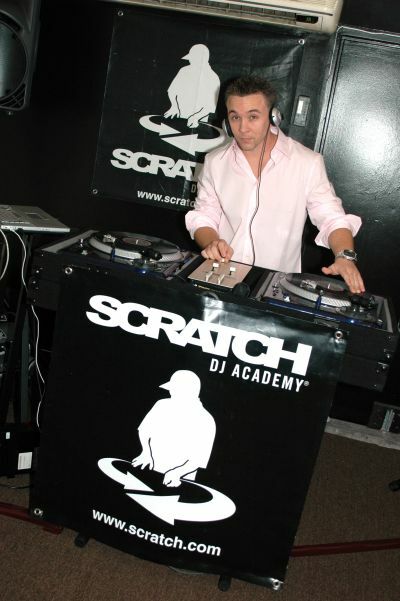 Scratch DJ Academy – Miami, the well-respected and highly popular DJ training facility and event production company started in NYC by music pioneers Rob Principe, the late Jam Master Jay of RUN DMC and Grammy and Tony nominee Reg E. Gaines, officially set up shop on South Beach with a recent soiree at their funky milieu, located in the heart of Miami Beach’s nightclub district at 642 6th Street. In attendance, were some of Miami Beach’s hippest music industry professionals, local movers and shakers and professional and budding DJs from all walks of life. Principe happily welcomed guests to the exciting opening of his third location, including City of Miami Beach director of tourism and conventions, Michael Aller, who conducted the academy’s ceremonial first scratch and who is now better know as DJ Michael A. Party goers enjoyed a beautiful display of scrumptious sushi rolls, provided by South Beach’s chic sushi lounge and saké bar, Doraku, along with the restaurant’s signature cocktail, a delicious house made mango-infused saké. Attendees nibbled, sipped and mingled, while taking personalized lessons from Scratch’s local celebrity DJ instructors, including Miami Heat’s own DJ Irie, DJ Edgar V, DJ Craze and DJ Immortal. Many who tried their hand at the popular art form went home with a personalized CD of their very own mix. Not to worry if you missed the event, as two national television programs, The Look for Less on The Style Channel and Wave on FOX, were spotted filming the fun for upcoming episodes scheduled to air in the coming months. 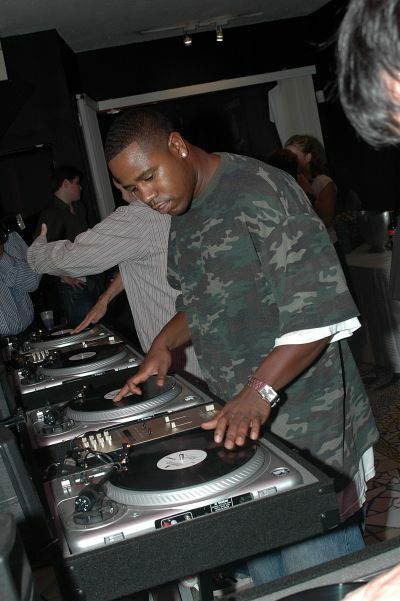 Scratch DJ Academy – Miami is currently accepting registration for the Winter Term, beginning January of 2006. Courses include DJ 101 (for beginners), DJ 151 (for intermediate club DJs) and DJ 202 (for intermediate and advanced turntablists). Each six week course, priced at $300, meets once a week for 70 minutes. Dedicated students can use the facilities between classes to practice their newly acquired skills. Private lessons are available upon request. Each student is presented with a certificate of achievement upon completion of the course. Scratch DJ Academy – Miami is located at 642 6th street, Miami Beach, Florida. For course registration, please call (305) 535-2599 or visit www.scratch.com.